A friend of mine who has been on a waiting list for the past year was getting his broadband via wifi link from his neighbour half a km down the road. Today chorus finally finished upgrading the cabinet at the top of the road, aparently there were a total of 9 ports on the old conklin and a flurry of complaints from unhappy customers including my mate who couldn't get broadband so chorus actually did something. 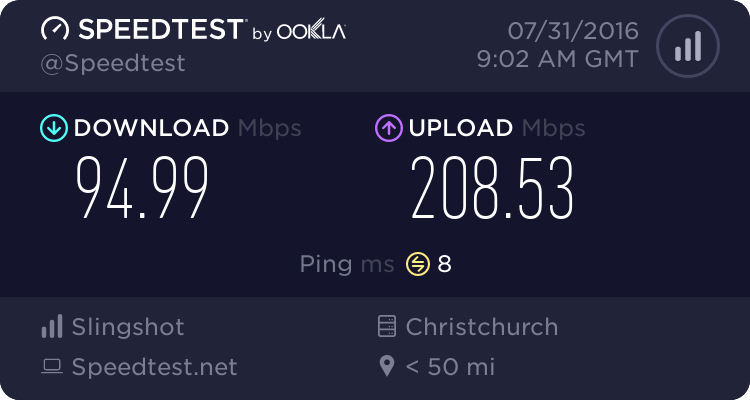 The new cabinet was made live today, its fibre fed adsl2+ and my mate is getting about 10meg download at 2.8km which is a huge difference to the measly fluctuating speed he was getting before, and this is still via the neighbour. The new cabinet apparently has more than 100 ports. Its located at the top of Jordan Road, 6km north of Kaukapakapa. Now he in the process of getting is own connection at his place which I guess shouldn't take long, he's supposed to be on a waiting list but hasn't heard anything yet about getting connected. I would get your mate to ring up the isp he is on the waiting list with and say the new cabinet is in place so can they please connect him. yeah i remember when my cabnet was installed i stopped to talk to the guys working on it who said it was live and they took my phone number down and said they'd see what they could do, not long after that and the PPP and internet light on my modem came on! Could be a different cabinet connecting your mate?